Laundry and dry-cleaning service app Cleanly was founded with the goal of creating a laundry revolution. With a focus on convenience, the app enables customers to easily schedule dirty clothing pick-ups and have their clothes returned to them fresh and folded 24 hours later. Currently available in New York, Washington, D.C., and San Francisco, Cleanly prides itself on having straightforward pricing, 1 hour time windows, and same day turnaround. 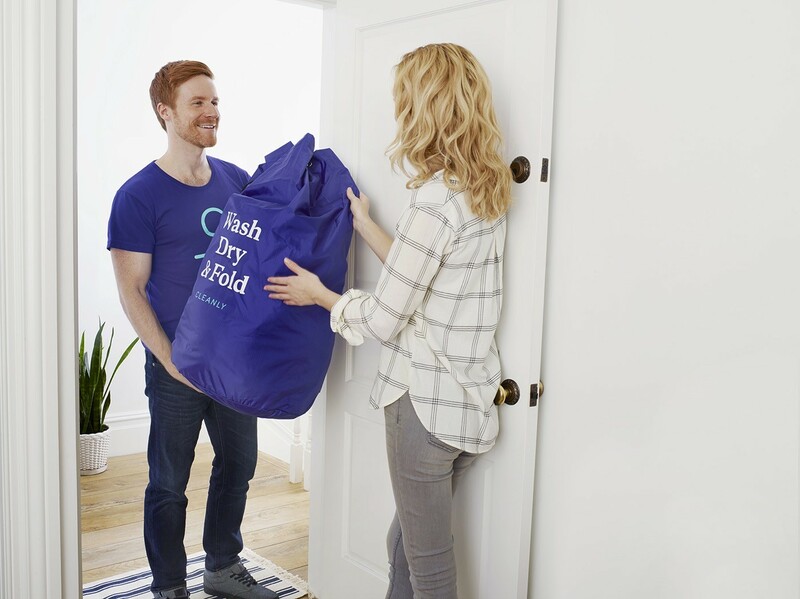 In addition to the company's a la carte services, Cleanly also provides a membership called Reserve — aiming to be the Amazon Prime for laundry and dry cleaning. With the core of the company built on the idea that users can leverage the power of their smartphone to essentially do their laundry, it's no surprise that Cleanly has been social media savvy from the start. However, in looking to increase their paid social performance and further increase their brand awareness, Cleanly turned to Insense's creative platform to strengthen their social advertising campaigns through the sharing of creator produced content — and saw immediate and quantifiable results. With a deep understanding that video is powerful for driving consumer actions, Cleanly had been successfully working with social media influencers to create relatable, socially native content, but the company was looking for a social advertising platform that could further elevate its success in amplifying the brand voice through paid media. The laundry app wanted to be able to continue sharing authentic story content from users that was socially native, engaging, and fun, yet they also wanted an ad platform that could simplify the process, while at the same time produce high reach, clickable, trackable and measurable ads. Cleanly discovered the Insense platform and started working with them to maximize the influence of its ads through Insense's unique social media publishing capabilities. Using the Insense creator network, the brand began to find new influencers in their target markets whose content had the ability to serve as powerful vehicles for its brand messaging, which focuses on empowering customers to use the Cleanly service so that they have more time to spend doing things they enjoy. The brand took this engaging content and used it in paid advertising campaigns. Cleanly recognized that one of the features of the Insense platform that sets it apart from others is its direct integration with Facebook Ads Manager. By leveraging this feature, the laundry app was able to take relevant videos shared by social media influencers, run them as social ads on behalf of the influencer with custom targeting parameters from their Facebook Business Manager, and publish the content with high visibility. In addition to Facebook ads, Cleanly also began executing ad campaigns via the Insense platform on Instagram. Short videos, Boomerang clips, and photos of influencers touting Cleanly's services were published as targeted Stories and post ads on Instagram. In working with Insense on its social media ad campaigns, Cleanly saw immediate, measurable results. Its Instagram campaign, which included Stories ads that published Boomerang videos of influencers unzipping their garment bags of fresh dry cleaning that was serviced by Cleanly, as well as Instagram Ads that featured authentic promotions of the service, drove a 2.3X lower CPM (Costs Per 1000 Impressions) than similar campaigns that the brand had done using traditional creative assets. It also resulted in a 2.1X higher CTR (Click Through Rate) and a 1.86X lower CPC (Cost Per Click) than similar ad campaigns that Cleanly had executed in the past. "We had already been having success with paid social, but in working with Insense, we were immediately able to increase our click rate, conversion rate, and ultimately decrease acquisition costs in the channel," said Nilton Duque, Cleanly's Head of Marketing & Growth. "Insense allows us to develop powerful user-generated content and ensure that it's seen by the right audiences on Facebook and Instagram. The bottom line is that Insense is saving us time and helping us to get better results than we've ever had before." Being able to rely on the Insense platform from start to finish for every step in finding, working with, and publishing creator produced content ads, Cleanly immediately saw value in the platform as a one-stop solution that streamlined the content development, whitelisting, and amplification process. By integrating Insense with Facebook Ads Manager, Cleanly had a newfound ability to combine native influencer content, images, and videos with audience targeting and analytics tools — enabling them to make influencer marketing measurable, beyond "vanity metrics" like likes, comments, and shares. Cleanly continues to have measurable success using the Insense platform for ongoing paid social campaigns. Want to get results from working with Creators?